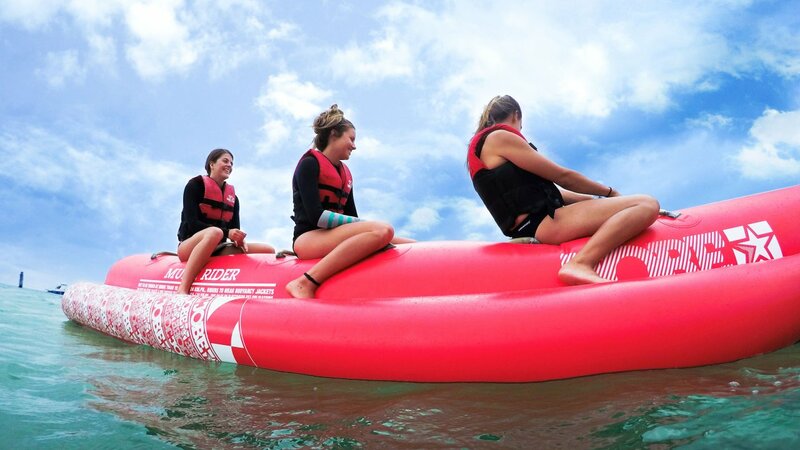 Skim across the top of the water on our thrilling banana boat ride. 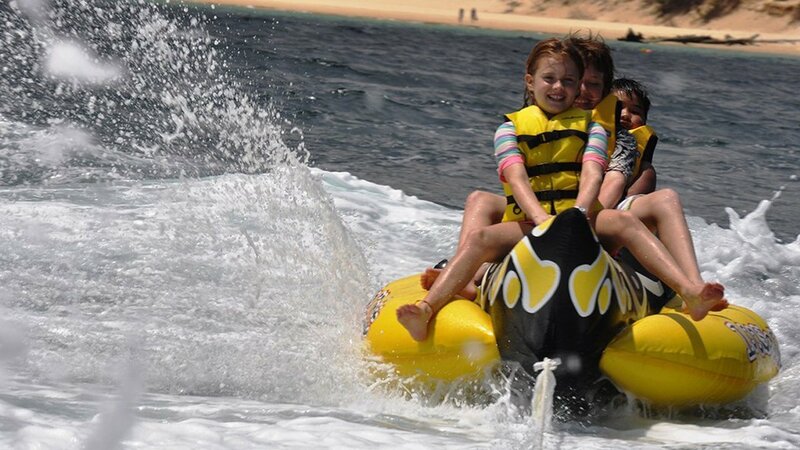 Grab your mates and climb aboard our 3-seater banana as it pulls you through the water on the back of our Jet Ski. Swerve left to right as you zoom through the clear water! Feeling adventerous? Our guides will increase the speed for an even more adrenaline-fueled experience! 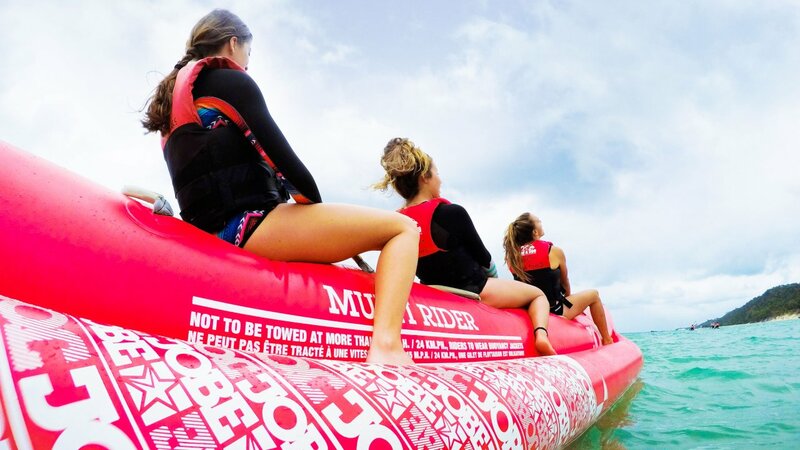 *Minimum 2 people for banana boat rides. This activity may represent additional risk for some guests. For your safety, if you are suffering from any injury, medical condition (such as pregnancy, epilepsy, asthma, or cardiovascular conditions), disability, disease, or illness which may be aggravated by, or may interfere with your ability to safely participate, please do not book using this online portal. Instead, please contact us directly on +61 07 3410 6927 to discuss your options with our friendly staff. If you are unsure regarding your particular circumstances, please contact us also. Please Note: In accordance with our medical guidelines, Tangatours reserves the right to cancel any booking as deemed necessary, such as in the event that participation would pose an unacceptable health or safety risk to yourself or others. * Please note all guests purchasing Tangatours products must be travelling on the Tangalooma ferry or staying at the resort. 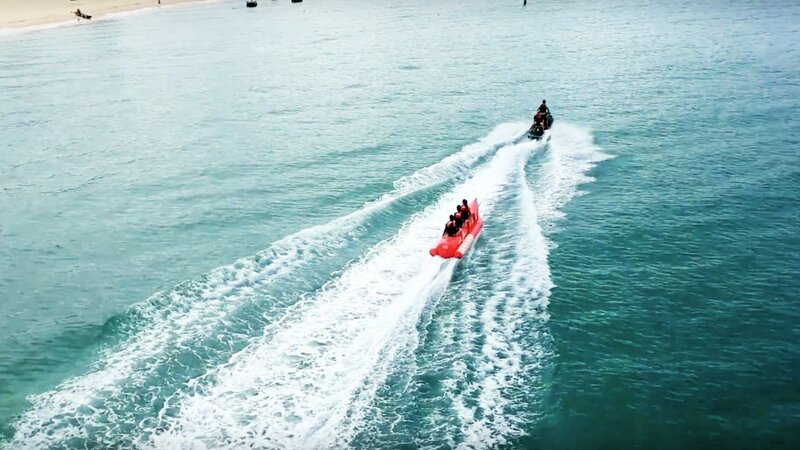 (Adventure Moreton Island).